MUNICH — The rumor emerged last fall, lingered, and today became fact during a Free State of Bavaria cabinet meeting: Serge Dorny, 56, and Vladimir Jurowski, 45, will in Sept. 2021 take over as Intendant and Generalmusikdirektor, respectively, at Bavarian State Opera. So said a statement from Bavaria’s Kultusminister Ludwig Spaenle, listing the appointments in that sequence. No contract term was disclosed, and no salary. The opera company will go without a GMD in the preceding season, after incumbent Kirill Petrenko steps down. 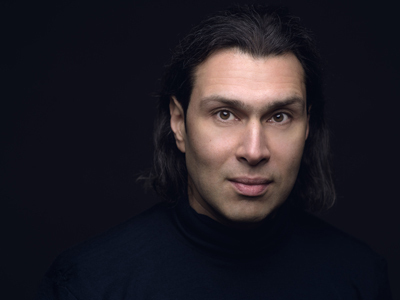 Lyon-based Dorny and Berlin-based Jurowski have been colleagues before, if not salaried together, notably by way of the London Philharmonic and the Glyndebourne Festival. Presumably they will get along, as have Petrenko and outgoing Intendant Nikolaus Bachler. Bavaria’s Culture Ministry did not answer questions about the joint nature of the new hiring. Dorny drew attention around Germany when in 2014 he sued Dresden’s Semperoper for wrongful termination. He had been appointed Intendant of that company for five years, to start that fall, but was peremptorily fired in February, midway through an agreed preparative season, and suffered the further indignity of a Saxon minister’s televised description that he had behaved “like the Sun King.” He won the case, and pay and damages to the tune of a reported €1.5 million, and in July 2016 fended off the Free State of Saxony’s appeal. Dorny grew up in a Flemish-speaking family on western Belgium’s French border. He began his career in 1983 as a dramaturge working for Gerard Mortier at the Théâtre Royal de la Monnaie. Four years later he was heading the Festival van Vlaanderen. From 1996 to 2003 he served as chief executive and artistic director of the London Philharmonic, a post that took him yearly to Glyndebourne, before he started in his present, acclaimed role as directeur général of the Opéra de Lyon. The Moscow-born conductor, whose family emigrated to Germany in 1990, promises high standards and a slightly freer approach to music direction than Petrenko. His theater work has centered on projects at Glyndebourne, where between 2003 and 2013 he filmed operas by all three of BStO’s so-called “house gods”: Mozart, Wagner and Strauss. Janowski debuted with BStO in Nov. 2015 leading an adrenaline-charged Akademiekonzert program of Liszt, Hindemith and Prokofiev, and weeks later presided over a musically and dramatically successful new Ognenny angel (Огненный ангел). Although he did return for one performance of that opera the next summer, he has not appeared with the company since. Andris Nelsons’ name was also floated for the GMD position. He moved to Munich in 2015 and had seemingly been interested in vitalizing the thinnish opera side of his career at Germany’s biggest opera company. However, as Munich’s Merkur newspaper has reported, his schedule was deemed too full to take on all the GMD duties — a fair assessment but one that could equally apply to Jurowski, who today heads orchestras* in London, Berlin and Moscow. Four performances of Rusalka last June have been Nelsons’ only BStO assignment. This entry was posted on Tuesday, March 6th, 2018 at 2:09 pm	and is filed under Munich Times. You can follow any responses to this entry through the RSS 2.0 feed. Both comments and pings are currently closed.